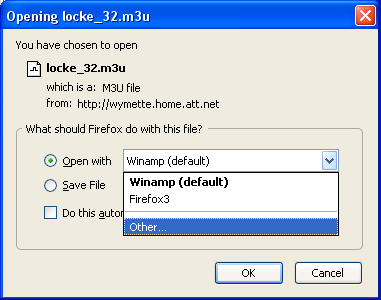 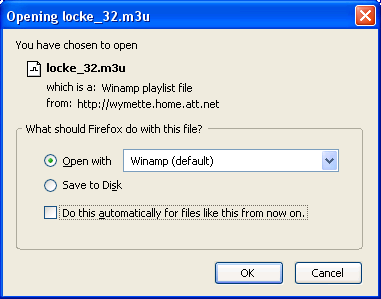 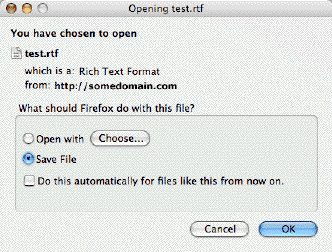 When Firefox 3 (or above) is first installed, there are two possibilities. 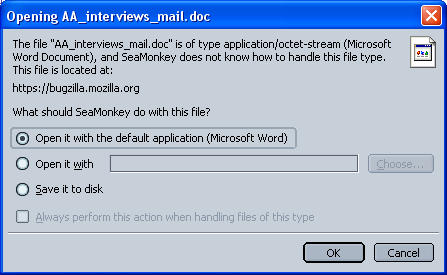 First is a clean install with no previous profile and the second is an install with a previous profile (likely from Firefox 2). 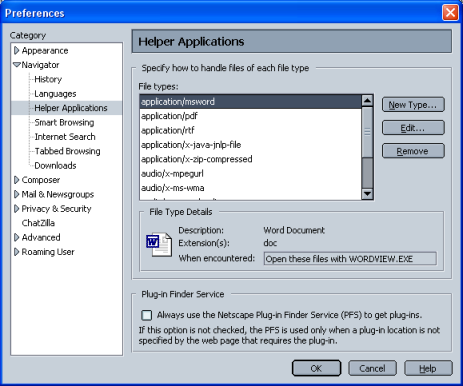 In the first case the Applications tab will only contain a list of files handled by installed plug-ins plus a few other defaults such as mailto. 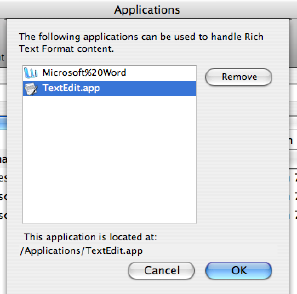 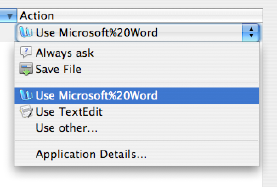 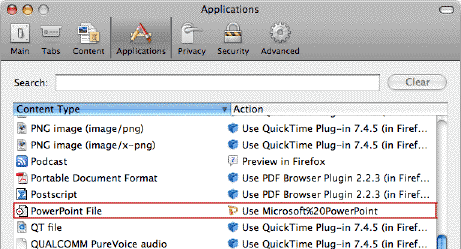 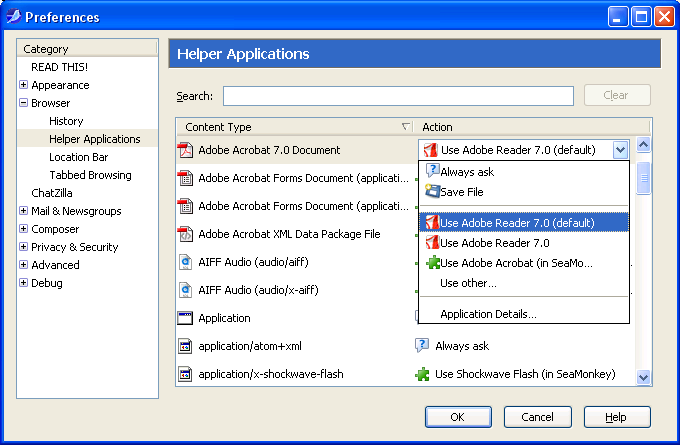 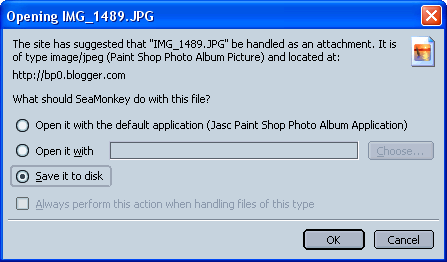 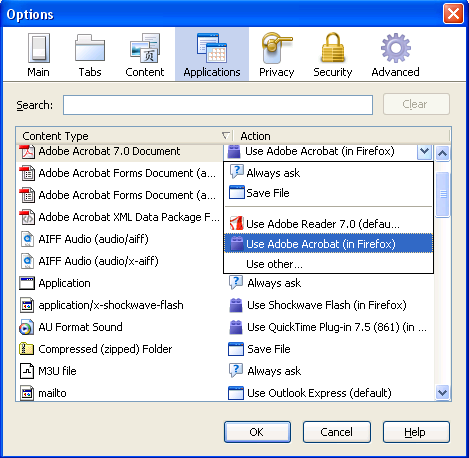 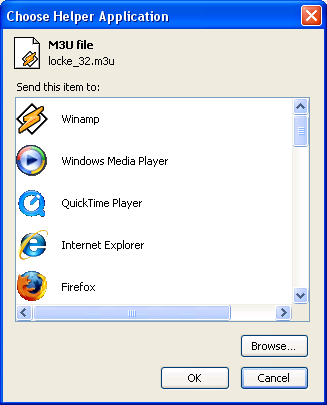 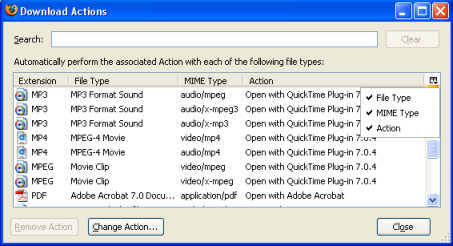 In the case of a second install with an existing profile from Firefox 2, the Applications tab may contain file types added for Firefox 2 requiring external applications as show in the figure for PowerPoint.